Happy birthday to the new royal baby! I’ve been more than a little obsessed with following the updates of the royal baby frenzy online recently, so it’s cool that it’s finally happened! In other news, today I have for you a fun nail polish I picked up at the mall this weekend. This polish is a sub-brand of the store Rue 21, which is a Forever 21-esque store that sells clothing, jewelry, shoes, accessories, make up, nail polish, all sorts of great things! The brand is called Pink Ice (not to be confused with Pure Ice, the Walmart nail polish brand), and has pretty awesome glitter and creme polishes. At my Rue 21 location, they just expanded the line, and this color I’m showing you today is part of it. I also have another amazing glitter mix from them that I’ll share at another time. 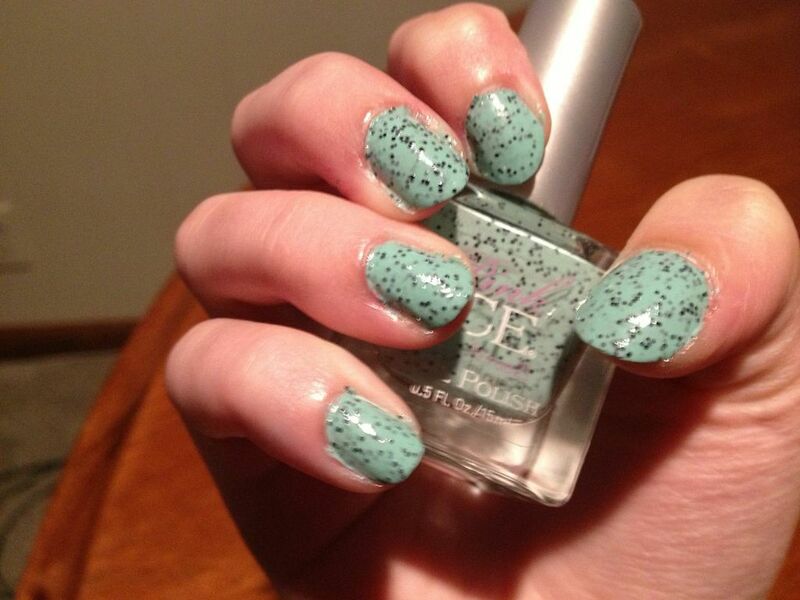 Color 031 (this brand doesn’t have names, unfortunately) is a minty green pastel base, with tiny black hex glitters in it. 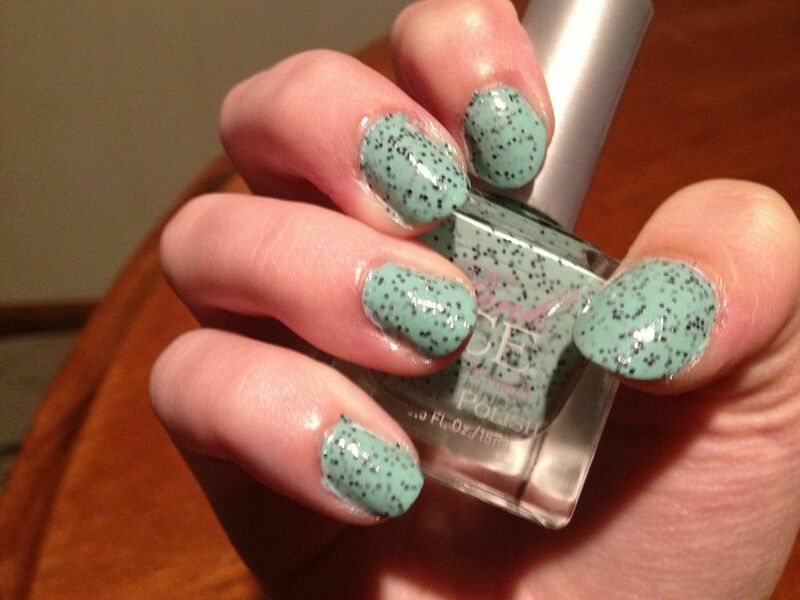 I think this is very reminiscent of mint chocolate chip ice cream, or a pastel kiwi fruit! I’m absolutely in love. The formula of this polish was on the thick side, but not unworkable, and the glitter was evenly distributed throughout the bottle. It took about 2-3 coats, depending on how thickly you paint them on, to become opaque. Without topcoat, the polish is a bit rough to the touch when dry because of the density of glitter, but 1-2 layers of a good topcoat smoothes it right out. 1 coat of Sally Hansen Diamond Strength Nail Color in “Flawless” did the trick for me! Below are pictures in indoor, artificial lighting, on my right hand (which may explain the awkward angles in some of the pictures, because I’m right handed and had to take pictures with my left!). 3 coats of 031. Packaging-wise, this polish is a total win. The bottle is uniquely square shaped, somewhat similar to old Rimmel packaging (I think I got that brand right…). My only gripe about this polish is that the brush on this particular bottle is terrible. It’s bristles are hard to control and just poorly shaped. I didn’t have that issue on the other Pink Ice polish I have, so maybe it’s an oddity. 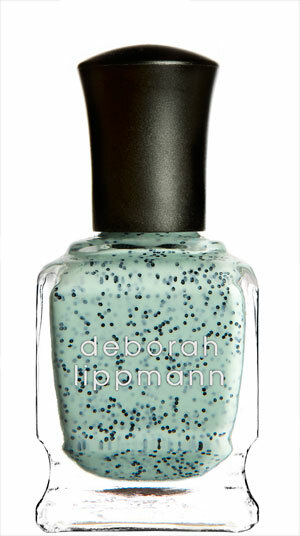 I also saw a striking similarity in this polish to Deborah Lippman’s “Rockin’ Robin” (picture below). While I don’t own Rockin’ Robin to compare the two, they look fairly similar just in the bottles, with Rockin’ Robin potentially being slightly lighter in color than 031. If you’re looking for a cheaper dupe of Deborah Lippman, this would probably be the way to go! So what do you think of this minty fun polish? Are you a fan of black glitter? 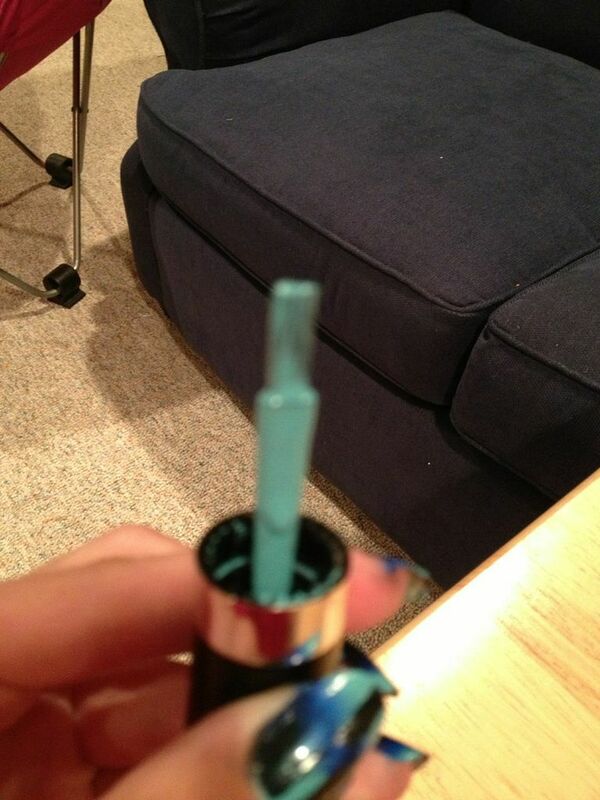 Will this be getting added to your nail polish stash in the near future? Hi everyone! 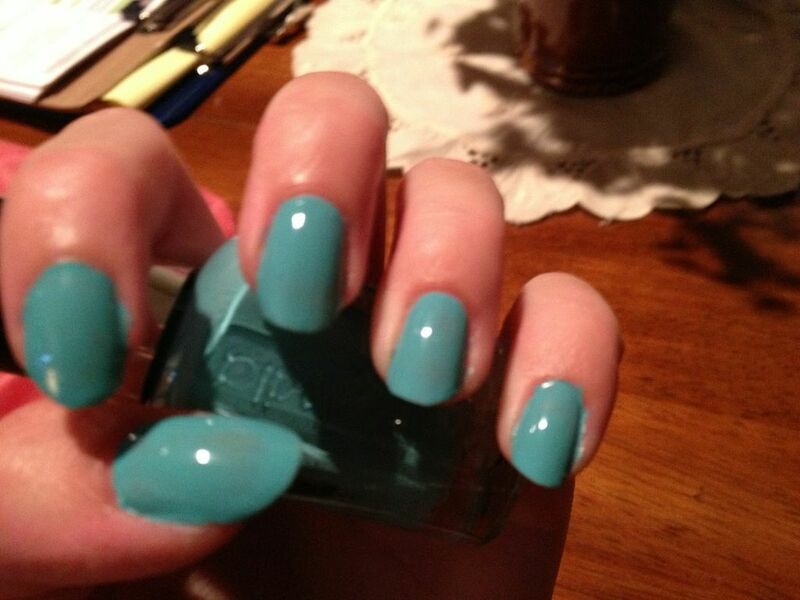 Today I have an awesome mani that I did to show you. When you have so many colors, sometimes it’s hard to pick just one to use on my nails at a time! So, being as indecisive as I am, I couldn’t pick between colors! 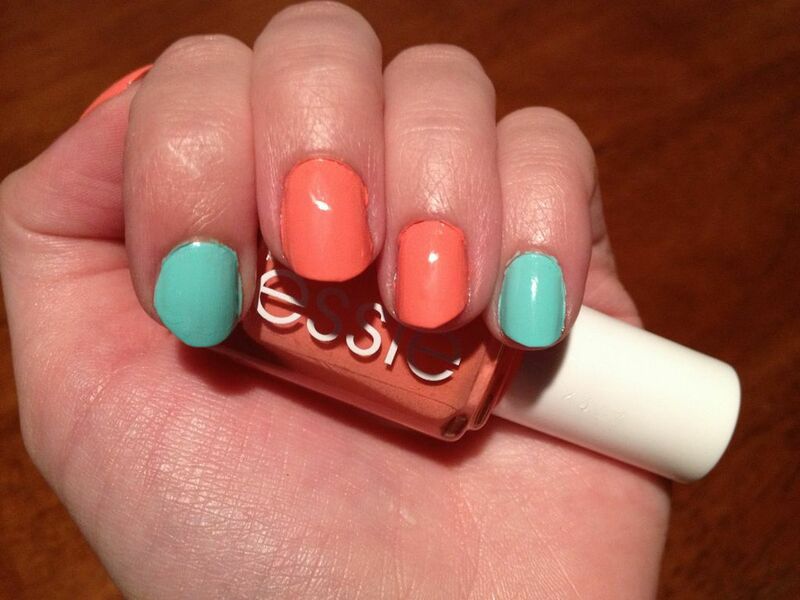 So I picked two of my favorites- a hot coral and a cool mint, and paired them together to get the best of both worlds- hot and cold! I used the blue, dELIA’s “Blue-Mint”, as an accent nail on my pointer finger and pinky, and used Essie “Tart Deco” on the rest. 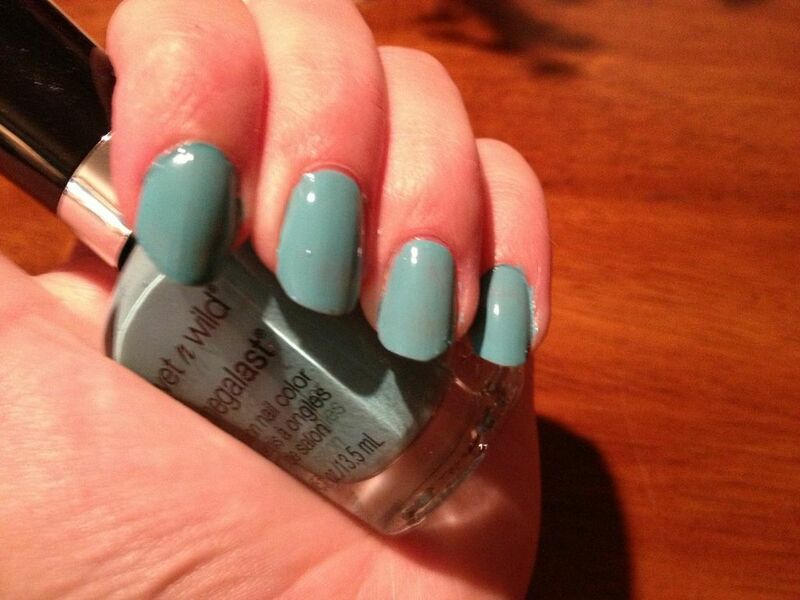 What do you think of this frosty hot manicure? 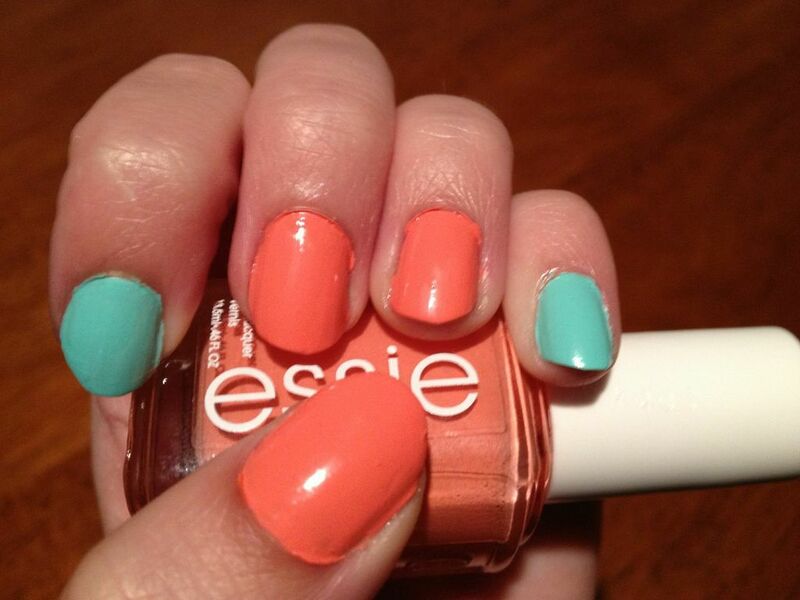 Will you be trying out accent nails too?